Merchants can sync their Poynt smart terminal with their QuickBooks online account and view transaction information gathered on the terminal. This allows merchants to export transactions and orders to QuickBooks Online. Helpful features include automated daily syncs, as well as the ability to choose a custom date range to export transactions. Step 1: Log into your Poynt.net account. Step 2: Go to “Apps” and download the “Data Sync” app. Merchants may also download this app on their device under Apps. Note: If you do not see the tab "Apps", please reach out to our Support team for assistance. Step 3: Click on “Sales & Reports”. In the left navigation bar you will see “QuickBooks” option. 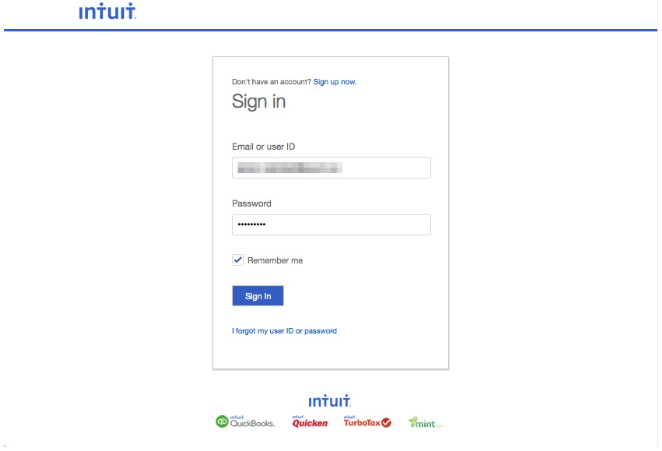 Step 4: A pop-up modal will appear and prompt you to sign into your QuickBooks account. 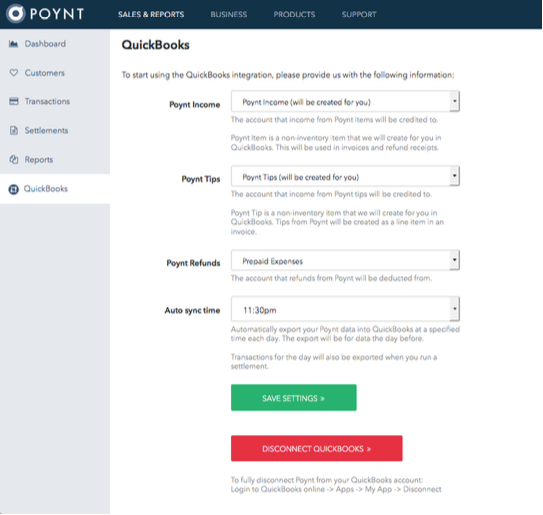 Step 6: To start using the QuickBooks online integration, you will need to confirm 4 fields (Poynt Income, Poynt Tips, Poynt Refunds, Auto sync time). You can change the default selection clicking on the drop down menu next to each individual field. When you are done making your choices, click “Save Settings”. 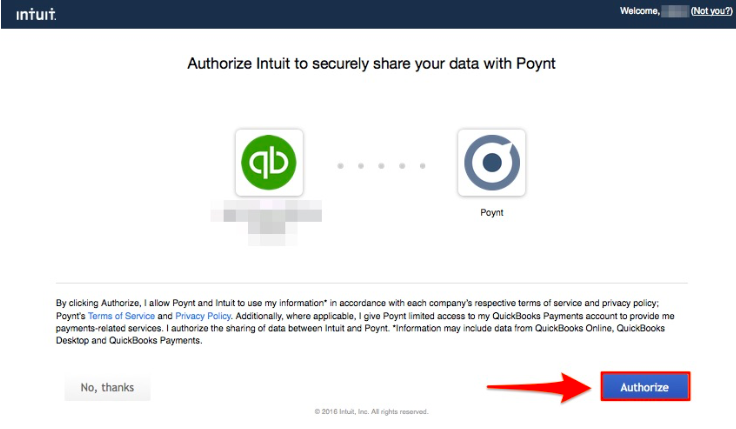 When you do either of these actions on your Poynt device or on the Web Portal, data will export to your QuickBooks online account. You can view individual line items under “Transactions” and “Sales”. Note: We do not currently support an integration with the QuickBooks desktop application. This integration is only optimized for the Intuit Quickbooks Online application. 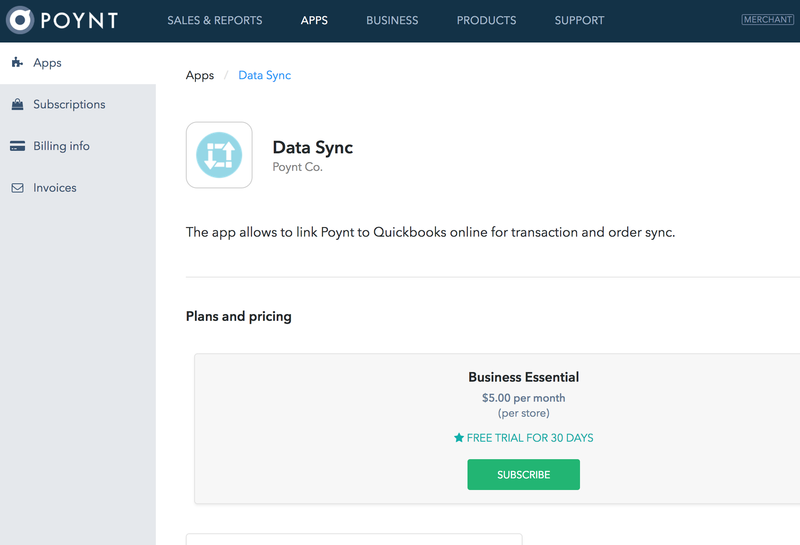 Quickbooks Link is now located in the Business tab rather then the Sales and Report tab.